This is a great meal to throw in the slow cooker in the morning and forget about until dinnertime. 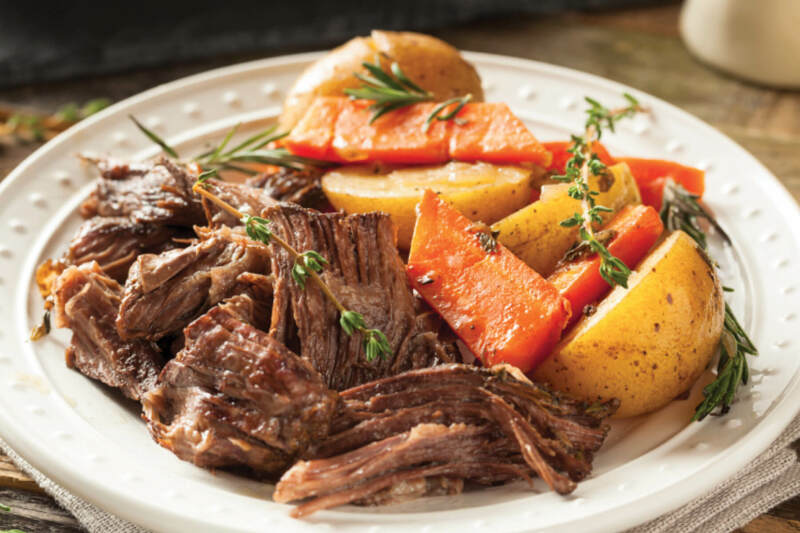 This Certified Hereford Beef pot roast is a meal the whole family will love! Place the roast in the slow cooker. Place butter, pepperoncini peppers, ranch dressing mix and au jus mix on top of the roast. Cook on low for 8 hours.